One of many, many, many losing tickets. 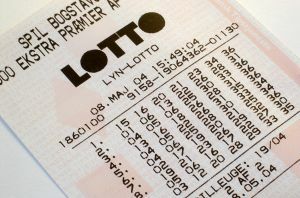 LONDON - Unborn souls across Europe expressed a collective sigh of defeat yesterday when lottery officials announced they did in fact have a winner in the European Genetic Powerball Lottery. The genetic prize had reached record levels recently, which saw a drastic increase of unborn souls buying up tickets to win the grand prize. Officials haven't yet announced where the winning genetic lottery ticket was purchased, but rumors have circulated that it may have been at Nigel's Liquor Emporium. The winning soul, which has expressed a wish to European Genetic Lottery officials to be anonymous thus far (though nicknamed a "Royal Baby" in the local press), saw its fortune rise as it has basically become the luckiest person on the entire continent. "I'm disappointed," said an unnamed, unborn wisp of a soul. "I thought I deserved this. I really could have used this birth. It would have changed my life. Times have been tough for a lot of us unborn souls with the economy being what it is, but you know, I'll persevere." European Genetic Lottery Officials also announced that next week's prize has been reset and the winning player will be born to an account manager and primary school teacher in Berlin. "Of course I would have rather won the big prize," the unborn soul continued, "but I'll play again next week. I always do. You never know. Fingers crossed."